Starting today with version 2.12.0 StitchBuddy for Mac is exclusively distributed via Apple's Mac App Store, providing an even better user experience: With one click you can download and install the free version, which updates completely automatically. This version offers all functions, but can only save designs up to 1,000 stitches. And if you decide to buy the unlimited StitchBuddy Pro version after your test, registration is only another click away and without delays instantly active. And no worries for existing customers: In the past all StitchBuddy updates were provided for free, and this is not going to change: Install StitchBuddy's free version from the Mac App Store, and it will recognize your existing license code and unlock the Pro version with no additional charge. Please be aware that unfortunately I had to remove the function to delete hidden system files from USB sticks as it did not comply with store guidelines, and StitchBuddy requires OS X 10.9 or higher, now. Please leave a rating / review in Apple’s Mac App Store to support StitchBuddy's development! I just released a minor update of StitchBuddy (v2.5.3) fixing an issue when importing some rare PES designs, and preparing StitchBuddy for OS X 10.9 "Mavericks" by an internal change of the stitch simulator. Although the latter modification might impact the simulator's performance, I am confident it will not effect the user's experience. New releases of the iOS apps were sent for Apple's review in parallel, incorporating Facebook / Twitter integration and minor bug fixes. During my vacation a user reported that some few PES files were not shown correctly by StitchBuddy. With the given example file I could easily reproduce the error, and today I was able to identify and fix the problem. Interesting enough: Some other embroidery programs have the same issue. The bug fix still needs some thorough testing, but I expect minor updates of all (!) StitchBuddy products in the next weeks. The new version will also include a fix to support OS X 10.9 "Maverick", and Facebook / Twitter support for iOS ... and the mentioned limitation to iOS 6.0 (and above). On Monday Apple has introduced the next versions of OS X and iOS at its Word Wide Developer Conference. While OS X 10.9 "Mavericks" (a surfing location in California) is expected to come with only little changes for the end user, iOS 7 features a complete redesign of the user interface. The WWDC keynote made me curious enough to download and install very first versions of both operating systems, previews only available to registered developers: Although I was able to identify minor issues with StitchBuddy's Quick Look plugin and the stitch simulator on OS X 10.9, these might be caused by the very early state of Apple's preview. I will check again at a later more stable state, and I am confident to resolve any possible problem. iOS 7 is currently only available for the iPhone, so I checked StitchBuddy View, and found it working, yet with an unfamiliar appearance. Update (2013/07/12): Apple has fixed the mentioned Quick Look issue with Mavericks 3rd Developer Preview (I filed a bug report), and I figured out how to fix the Stitch Simulator. I'll incorporate this minor change in the next update, and everything will be fine for the next OS X version. This bug existed since the early days, but now it is corrected, and I just released StitchBuddy v2.5.1. While Mac users can immediately download from the web site, the iOS versions of StitchBuddy View and -HD will take some more days until they are approved by Apple. Update (2013/03/06): StitchBuddy HD v2.5.1 was approved today. A user reported StitchBuddy to crash on Mac OS X 10.5.8, so this morning I took an old Leopard system back to work and started StitchBuddy v2.4.5 and ... it crashed. It turns out that Apple had changed some internal handling when building programs, something I wasn't aware of. As a matter of fact I hadn't tested StitchBuddy's last release with this OS X version, which last update is about 3.5 years old: Shame on me. 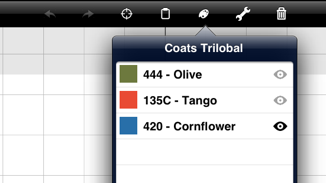 Fortunately a fix was easy to apply, and StitchBuddy v2.4.6 is ready for download. StitchBuddy crashed on Mac OS X 10.5.x when opening any design. This was caused by using an internal function available since Mac OS X 10.6 (aka "Snow Leopard"), only. By eliminating the title bar of the delay screen, it was impossible to enter a license code. When the "Stitch Simulator" was closed after forwarding, but without running the simulation, the display showed an unfinished design. All these issues were fixed with StitchBuddy 2.3.1, which can be downloaded here. Do you miss "Autosave" or "Versions"? In my opinion Apple's implementation of a (basically) good idea is quite poor, and Versions and the locking mechanism will need much more refinement, before users will feel confident about it. To avoid file modifications being accidentally saved by StitchBuddy users, I didn't implement Auto-Saving. An additional new feature for all users is the Stitch Simulator: This "Virtual Embroidery Machine" gives you a perfect impression how a design will stitch out in reality: The stitching process is drawn step by step, showing underlays, jumps, the color sequence, and all details. You can abort or pause a stitch out, adjust its speed, and jump to any position. StitchBuddy stays completely operational, so you can change zoom levels, view options, even select stitches during the animation. This function is extremely helpful to examine designs before stitching, and just for the fun of it I've added an appropriate sound effect (actually it's my wife's Janome MC350E). StitchBuddy v2.3 is a free update for all registered users. New users are encouraged to download and test the full-featured trial version before purchasing a permanent license for USD 49.95 / EUR 39.95. A few customers were reporting that StitchBuddy wouldn't open embroidery files it claims to handle: The designs were not selectable in the "Open" window (greyed out), and even the Finder refused to open these files with StitchBuddy. It turned out these customers were using other Mac embroidery software in parallel, and this software assigned file types to embroidery designs, StitchBuddy didn't know. For some reason this issue wasn't effecting all users of such a software combination, but only a minority; I wasn't able to reproduce it myself. With OS X 10.7 (aka "Lion") Apple has completely dropped support for Macs with PowerPC processors: Five years after the transition of all desktops / laptops to Intel processors, and shipping the last model with a PowerPC, it is no longer possible to run PPC applications on the current OS. 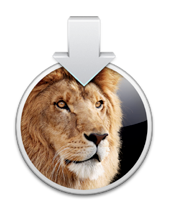 Additionally there is no (officially supported) way for developing PPC applications under Lion. After long considerations I decided to move forward, and StitchBuddy v.2.2.2 is the last "Universal" application, supporting both, the Intel and PPC architecture: Future versions with additional features will require an Intel processor, but StitchBuddy v2.2.2 will remain available for download. So you might have noticed: StitchBuddy's summer break has ended, and I'm eager to implement some cool new things, finally with Lion and a new development environment ("Xcode 4"). I'm happy to announce that StitchBuddy v2.2 is compatible with Apple's brand-new OS X 10.7 aka "Lion". There's one small issue when viewing embroidery files with the Quick Look plugin: As Lion uses a white background, the white text (thread names, etc.) is unreadable. I will fix this problem with a minor release the next days. Another problem unrelated to Lion was reported by a user, and will be fixed as well: StitchBuddy crashes after entering too small or too large zoom factors manually. Thanks, Gregor! StitchBuddy v2.2 is a free update for all registered users. New users are encouraged to download and test the full-featured trial version before purchasing a permanent license for USD 49.95 / EUR 39.95. I decided to release a minor update of StitchBuddy and both plugins as a specific error should be fixed as soon as possible: Under very rare conditions a JEF file could be corrupted, and wasn't recognized by Janome embroidery machines, anymore. This issue occurred only if a color change happened to be a jump stitch, too, a possible combination introduced with Janome Designer 3.0N. As you might have guessed StitchBuddy v2.1.2 is a free update for all registered users, and can be purchased for USD 49.95 / EUR 39.95. I decided not to wait for more feature enhancements before releasing a new version of StitchBuddy: On one hand I'd like to spend the next days with my family celebrating Christmas, on the other hand I want you to benefit from new developments as soon as possible. Starting today StitchBuddy and both plugins will share the same version number: As all modules are based on the same core functions, any modification will lead to new releases anyway. The same version number will avoid unnecessary confusions. StitchBuddy v2.1 is a free update for all registered users and can be purchased for USD 49.95 / EUR 39.95. I just released a minor update of StitchBuddy and both plugins, because a user stumbled over PES files that couldn't be opened. Actually she found freebie designs of version 5.5, 5.6, 7.1, and 8.0 at Babylock's website. Although I don't know, what is changed in detail, the part of a PES file StitchBuddy uses to read designs isn't modified. So more PES formats could be supported by changing a single line of code. StitchBuddy v2.0.2 is a free update for registered users and as always StitchBuddy-QL / -MD v1.4.2 can be downloaded for free. Some of you might know Jim Stutsman, Janome guru and owner of "The Sewing Room" in Frisco, Texas. Jim is one of my first customers and during the last year we discussed a lot of topics related to machine embroidery, especially involving Macs and Janome embroidery machines. A lot of his suggestions found their way into StitchBuddy and he was an early beta tester of version 2.0. These days Jim wrote a review in his blog "Online Sewing" and I'm really proud about his conclusion: "If you only work with purchased designs, then StitchBuddy is all you need for the Mac. It's the single best tool I've ever found for working with Janome embroidery designs, and that includes all of the ones available for the PC". Thank you, Jim! More hoops and "any color"
Now owners of Janome's MB-4 can select the standard hoop M1 (I just missed it for some reason) and the new AcuFil Square Quilting Hoop (ASQ) was added. JEF designs with the "any color" thread code (like some of Janome's quilting designs) are supported. Some minor adjustments were made to improve the usability when switching between color modifications and selection modes. StitchBuddy v2.0.1 is a free update for registered users and as always StitchBuddy-QL / -MD v1.4.1 can be downloaded for free. Happy birthday, StitchBuddy, you’ve grown up! After four months of serious coding and one year after its first release, a major update of StitchBuddy is released. I won’t summarize all changes in this blog entry (some more details can be found in the version history), but now StitchBuddy has become a full-featured embroidery editor: You can select parts of a design and move, resize, rotate, flip and delete them. All modifications can be undone, real-size templates can be printed and a lot more functions were added. Just look at the feature page for more information. StitchBuddy-QL and StitchBuddy-MD were updated to support new thread charts and hoops. To reflect these major changes this web site was completely redesigned, featuring a blog, some YouTube videos and a detailed FAQ section to answer all product-related questions. StitchBuddy v2.0 is a free update for all registered users and can be purchased for USD 49.95 / EUR 39.95. After the last feature update I focused on file formats in the last weeks. Now all StitchBuddy components read Pfaff’s KSM, PCS, PCQ and PCD files, and PCS embroideries can also be written. While KSM is once again an industrial format without color information, PCQ and PCD are used for small hoopless embroideries, e. g. at a hemline. I’ve learned that there are different PCD formats, text-based and binary ones, and StitchBuddy can read the binary type, only. The first (free) update of StitchBuddy changes the handling of thread colors: The color picker of Mac OS X is used to select colors (it was just a list of items before), and I updated the internal representation of colors: It’s possible to change the thread charts of a design, and even EXP/DST files can be colorized. In addition designs can be rotated by any angle,q and Pfaff’s VP3 embroidery format can be read, now. Both plugins are updated as well to support the new thread colors and VP3 embroideries. I found some descriptions of additional embroidery formats on the web: Janome’s SEW, which is a simplified JEF format (actually its predecessor), Melco’s EXP and Tajima’s DST: Both are mainly used for industrial embroidery machines and don’t hold any color information. Both plugins (StitchBuddy-QL and StitchBuddy-MD) are updated to read this formats.